So, let’s take a wild guess. You’ve invested time and money on an explainer video for your business, but it’s not giving you the expected results. Is that your case? Well, don’t start thinking that they don’t work — in fact, explainer videos have great benefits for all kinds of businesses! We’ve seen that people who claim that explainer videos don’t work for them, and we found that it was because they were making them the wrong way. Just as any other kind of content, your explainer video needs to be well done or it will lead to bad results. Ask yourself these 5 questions, and you’ll get why your explainer video is not working… yet. 1. Is your script professionally written? Many people don’t realize the importance of a good script, and they think they can get away with no script at all. That can only result in disaster: wasting your money and your time. A script is the foundation in which any video is built upon, whether it is a Hollywood movie or a DIY Video. After all, creating a video is a complex process that needs a lot of steps, and the script is the backbone for all of them. Your script will be the base for the illustrators, animators, sound technicians, voice actors and producers will later do their jobs. So as far as first steps go, this one is really important. It has a weak structure: The narrative of your video should be logical, and follow the three steps any narration should cover: beginning, middle and end. Or, in words related to explainer videos: there’s a problem, there’s a solution, and your company is the one who’s providing it. If your video lacks any of these steps, then its structure is weak. Your story is too self involved: We get it, your company is great and it’s the best at what it does. But if your explainer video focuses solely on that, it won’t get anywhere. A good explainer video is about its target audience, their struggles, and how your company can help. It should be talking about them, not about you. It’s generic: Do you have a generic message? One that’s too boring or that doesn’t really explain anything? Be honest with yourself, because this is one of the biggest problems for a lot of videos. A good explainer video must catch your audience’s attention from the first few seconds and deliver a clear message, or else it’s doomed to fail. Also remember, there are many types of explainer videos. You should be writing the script with your chosen style in mind, and choose the style that goes best with your brand and your marketing goals. You don’t know how to choose an explainer video style that works for you? Take a look at this video. So as you can see, it’s easy to mess up an explainer video script if you’re not relying on professional script writers. If you want further help with your scripting phase, we’ve got you covered! Here’s a free ebook on how to write a script for an explainer video. 2. Is your video too long, or does it have too much information? If you don’t have enough training, you’ll feel like adding way too much information in your explainer video. This is a mistake — not only will it make your video too long, but it will also make it confusing and boring. And of course, that’s the last thing you need! An explainer video must be concise and direct, and deliver a message that’s crystal-clear to your audience. For this, you need to decide what the most important things that you need to say are, and leave everything else out. Don’t try to overload your video with information: precision is key. Our attention spans are getting shorter and shorter with each generation, so delivering a clear message must be your priority. A good rule-of-thumb here is to never make your explainer videos longer than two minutes. The two-minute-rule is one that’s been conclusively proven: after two minutes, people will lose interest and will stop looking at your video. It’s not a movie! If you’re having trouble deciding on what kind of information should stay and what should get cut, you should be leaving it in the hands of experts. 3. On the other hand, is it vague or generic? An explainer video should be showing what your brand is all about. It’s more than just showing what you can do, it’s about communicating your brand’s core values and your spirit. And this is something that you just can’t do if you’ve got a generic message. A generic video is one that looks just like anyone else’s. It’s easy to fall for them if you’re trying to cut down on costs — creating a video from pre-filmed snippets or trying to recreate a viral video… it’s a simple recipe to get an average style, and a boring video. Don’t fall for clichés. If your brand is truly unique, then that’s your chance at succeeding! You must define what makes it unique and then translate it into words and images. 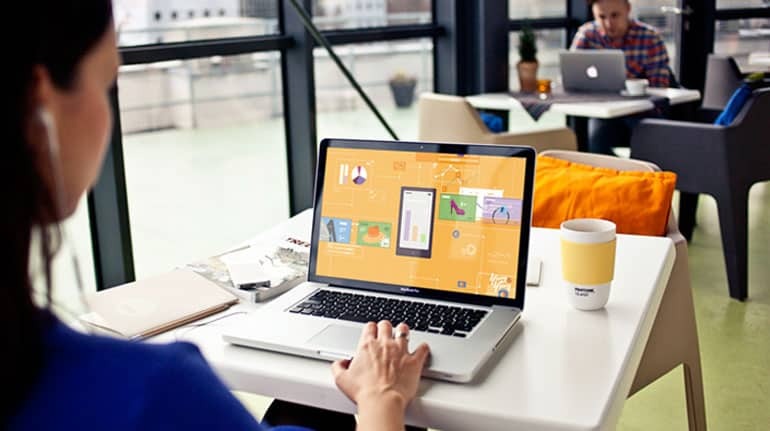 You need your explainer video to belong to your brand unmistakably. That will make it recognizable and powerful — something that a generic video just can’t do. 4. Are you distributing it correctly? Sometimes, your video may not be working because of reasons external to the video itself. For example, how you’re distributing it. An explainer video is a great marketing material, provided how you use it. And this means that you’ve got to do more than just post it on your YouTube channel. 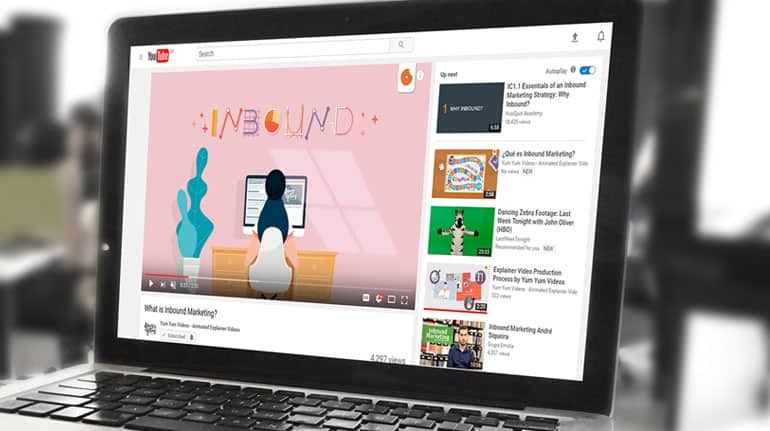 Yes, YouTube might be great, in fact almost 5 billion videos are watched on YouTube each day… But if you want your explainer video to succeed, this is not enough. You’ve got to distribute your video everywhere else. Use them, for example, to create paid ads. Video makes for amazing ads, because they grip your audience’s attention and hold on to it. You should also distribute your explainer video all over your social media accounts, as video gets shared 1200% more than text and images combined. Link your video via your blog posts and make sure to include it in your email marketing strategy — when you include a video thumbnail in your email’s body, your click-through rates multiply by 2! But mostly, include your explainer video on your landing page for maximum exposure. Your goal should be to include it everywhere your audience is looking, don’t bury your video in some subsection of your website that no one ever visits! 5. Does your video have the best quality it can possibly have? You must have a high-quality explainer video if you want to stand out. Let’s face it, video content is very popular these days. Every business, big and small, has at least one marketing video… because everyone knows that video content is effective. But this means that you need to stand out from the crowd by having the best explainer video, with the highest quality. Having a poor quality video is not only a waste of money, it also damages your brand: low quality video equals low quality service. And nobody wants that kind of ill reputation! It can take a couple of seconds of a poor animated video to destroy all of your hard work. The key here is to surround yourself with a great team of professionals that will make a high quality explainer video for your brand. Sometimes this is an inversion, but one that’s worth taking! Because the only way to achieve the desired results is by maintaining a high standard in every step of the process. From the script writers to the animators and editors, you need people that have experience in marketing videos — Maybe Bill, your coworker’s brother-in-law has good intentions and a vague notion of animation programs, but it won’t cut it. You’ll end up losing money and sales. Forget poor quality videos. Poor rendering, bad filming techniques and half-baked characters won’t take you anywhere. Instead, invest in a good team of professionals with experience in explainer videos, as they’re not hard to find! (Hint, you’re speaking to one of those teams right now). Here at Yum Yum Videos, we understand that sometimes it’s hard to find the perfect video producers to fulfill your brand’s needs, so we have a little gift for you: a free guide on how to find the right explainer video company! So don’t give up on your explainer video just yet. It’s a great marketing tool and you deserve to get all the benefits that come with it. It’s just a matter of paying attention, learning from your mistakes, and betting on a good strategy!